Today the IMDB showcased an interesting link to the website for the BFI, which is canvassing for donations to preserve the nine extant silent films of Sir Alfred Hitchcock. Surely all work must be preserved for future generations, but this group of films obviously is especially significant, as they are the seeds of the career of one of cinema's most influential directors. What few of these I have seen have generally been in subpar transfers, and surely could benefit from restoration so we can witness them in their intended original glory. One of his major earlier films, The Lodger, has especially been hard to see in good condition. 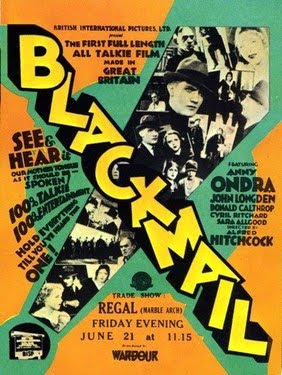 Blackmail is also of note, as it was England's first sound picture. Like many films around that time it was shot simultaneously in sound and silent versions. I'm probably preaching to the converted already on this journal, but restoration is not only an essential thing to preserve our film heritage for all time, but it is also a costly one. I remember when the late Stan Brakhage did a show here in 2000, he lamented that he needed $30,000 to restore his own Anticipation of the Night, and that price tag was just for a short! You can donate right now to the BFI at this link. When one devotes his or her fleeting spare time to researching films for upcoming projects, it becomes difficult to re-visit old favourites. And likewise, I had forgotten how much I loved this film until seeing it again last week for the first time in roughly 20 years. After just viewing the first few expository scenes on television, I was hooked, and spent the next two hours re-living the majesty, excitement and profundity of this classic science fiction film. One of the first of the archetypal "alien invader" movies of the 1950's, The Day The Earth Stood Still features Michael Rennie as the extra-terrestrial named Klaatu, whose flying saucer touches down on Washington D.C. to have an audience with the world leaders about how their eventual discovery of weapons of mass destruction will even endanger life on other planets. However, this seemingly benevolent alien offers an ultimatum: disarm or be destroyed. Mind you, he barely has time to deliver the message, as the hostile humans shoot him. 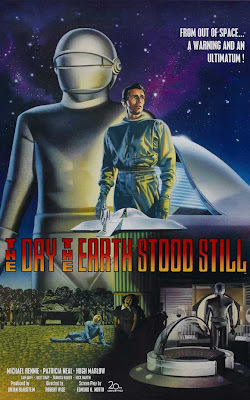 Since Klaatu looks human, he's able to leave the hospital and blend in with the general public-- assuming the pseudonym of "Mr. Carpenter", he moves into a rooming house, befriends a young widower named Helen Benson (Patricia Neal), who also rents there with her son Bobby, who helps him with conveying his message. This movie remains enjoyable because no-one on this A-list project treats it with anything other than tact and seriousness: the performances are marvellous (even Rennie's usual rigidity well suits the sometimes aloof alien)- none better than Sam Jaffe as the scientist who also sympathizes with his cause, the screenplay is as timely as ever (the more things change...), and as far as I'm concerned, the special effects still hold their own against today's CGI. The best effect is, if one may say, the most human: seven-foot-seven theatre doorman Lock Martin as Klaatu's only travelling companion, Gort the robot, who can shoot laser beams out of its visor. The dramatic highpoint occurs in a show-stopping sequence that gives the film its title: Klaatu orchestrates a world-wide power shutdown (save for emergency wards and operations) which subtly and effectively demonstrates the weight of his words. (This scene no doubt influenced Roger Corman's It Conquered The World). Director Robert Wise was given this project at the perfect time of his career. He was still a decade away from much bigger films like West Side Story, but still directs this modest production with a lightning pace that would more befit the B-movies he had previously made with RKO. Admittedly, nearly sixty years has robbed the film a bit of lustre: Hugh Marlowe's character- Helen's boyfriend Tom Stevens (an egomaniac who wants to exploit Klaatu's whereabouts), is a bit much, perhaps too calculatedly written just to give the movie an equal balance of right and left-leaning politics. Plus, it is amusing how Mr. Carpenter can easily get residence without any money, luggage or references: perhaps the 50's really were this innocent and wholesome! 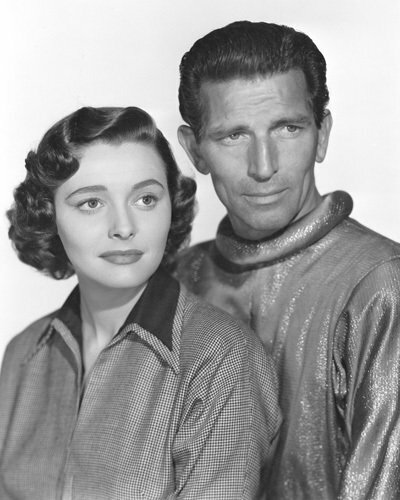 Despite that the picture remains a major addition to the 50's sci-fi genre, time would make it even more part of that decade's iconography, as the "white picket fence" milieu of the age is enforced by the early roles for Billy Gray (of "Father Knows Best") as Bobby, and Frances Bavier (Aunt Bee from "The Andy Griffith Show") as another tenant of the rooming house. 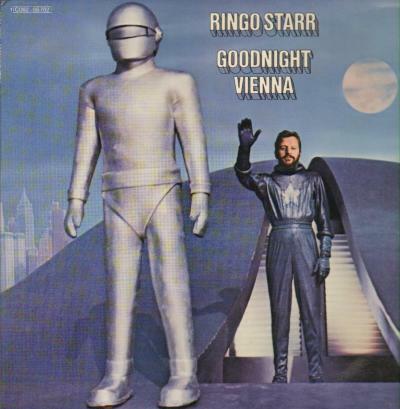 This movie is such an icon of pop culture that "Klaatu Barada Nicto" has become a catchphrase among genre fans, and Klaatu has inspired at least one rock band and at least one album cover. As well as grand entertainment, The Day The Earth Stood Still remains topical now as then for its themes of universal harmony and tolerance: two things still unattainable to some in our modern world. Later that night, I was wondering if actress Patricia Neal was still with us (as the last time I saw her was in Robert Altman's fable Cookie's Fortune), and made a mental note to check that fact when I penned the review. After finally getting to post this today, I experienced another case of "Barry Morse Syndrome" upon learning that she passed away only yesterday at the age of 84. Ms. Neal was one of the definitive actresses of her generation, having appeared with then-beau Gary Cooper in the adaptation of Ayn Rand's The Fountainhead (1949) and Bright Leaf (1950); and with John Wayne in Operation Pacific (1951), before starring in tonight's film. Although her film work throughout the decade was sporadic (more often seen on the small screen and especially on Broadway), she appeared in such key films as A Face in the Crowd (1957), Breakfast At Tiffany's (1961) and Hud (1963), for which she won the Oscar as Best Actress. In 1965, Ms. Neal suffered a series of strokes while her fifth pregnancy (married to Roald Dahl), and successfully recuperated to re-appear onscreen in The Subject Was Roses (for which she received another Oscar nomination). Over the next three decades, her cinema work was sparse but noteworthy, including a supporting role among many veteran stars in the underrated Ghost Story (1981); An Unremarkable Life (1989) and as the title role in Altman's southern comedy Cookie's Fortune (1999). This 1951 classic was a reminder of her superb an actress she was, and will have to re-watch some more of her work in the near future.